"The journey to womanhood is different for every girl." In this diverse and heart-wrenching debut novel that begins in the rural country of Kentucky in 1978, two sisters create a childhood for themselves among a dark reality they cannot escape. It's a sweeping journey of two lives forever entwined in common experience and love. Kathleen spent the first nine years of her life lost, when the death of her infant brother led her parents into a spiraling void of grief. When Lucy was born, she was life itself. For Kathleen, Lucy was more of a child, than a younger sister. Caring for her gave Kathleen's life meaning, opening her to a new world of love and trust. When a series of tragic events separates them, each embark on their own path. Kathleen desperate to find her sister, and Lucy learning to exist in an unforgiving world without her sister to protect her. Author Kim Streible crafts a moving coming-of-age journey about sisterhood, the tribulations of relationships and lasting love. "Kathleen had wished for a different mother and father so many times. She’d even prayed for them to come and take her away, but instead, she got Lucy. She’d never even imagined having a sister. As it turned out, it was better than having new parents." “I don’t think there is a hell.” People seemed so much better at punishing themselves. Kathleen couldn’t figure a reason for a hell. “Don’t scare me,” Lucy said. “A moonbeam? Would that be good?” Lucy asked. Kim Streible grew up with a healthy love of books, music and movies. The telling of stories fascinated her. She has a current obsession with the band, The Pretty Reckless and has become increasingly nervous at the happenings on the Walking Dead. When she isn't writing, you might find her pinning Batman and other goodies on Pinterest. She has authored over eight novels, including the steamy romance series Desert Pleasures, just published under the pseudonym, Zoe Blackwood. 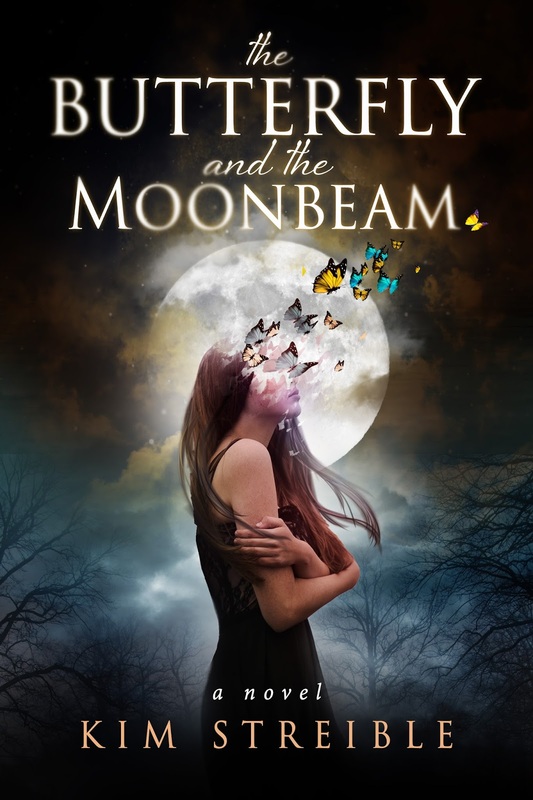 Enter to win a SIGNED PAPERBACK of THE BUTTERFLY AND THE MOONBEAM!